A few weeks ago I went to Morocco. Not the Morocco of hectic souks, dusty streets and busy traffic that I’d seen before. This time I visited a stretch of coast line where fields lead down towards the sea. A salt-water lagoon lies along the length of the coast, separated from the rough sea by a narrow ridge of land. The water in the lagoon rises and falls with the tide, and at low tide, figures could be seen stooping over, plucking clams and mussels from the sand. On the marshy shore line we collected thick bunches of green samphire and bought lobsters from the fishermen who had just hauled in the morning’s catch. 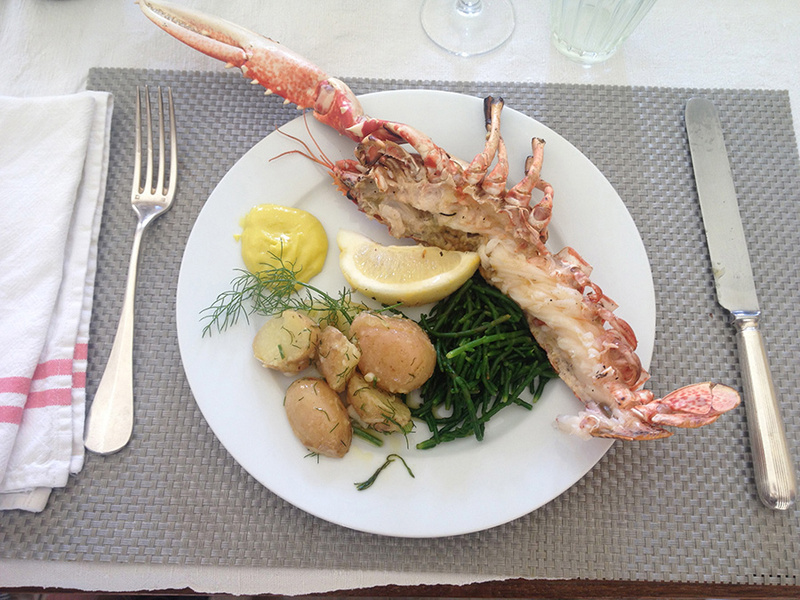 Most of what we ate, we had gathered; herbs and leaves growing around the house and stalks of samphire from the shore. The powerful winds which sweep in from the sea infuse all of the plants along the coast with a delicately saline taste. Even the honey from the local hives is tinged with its salty flavour. 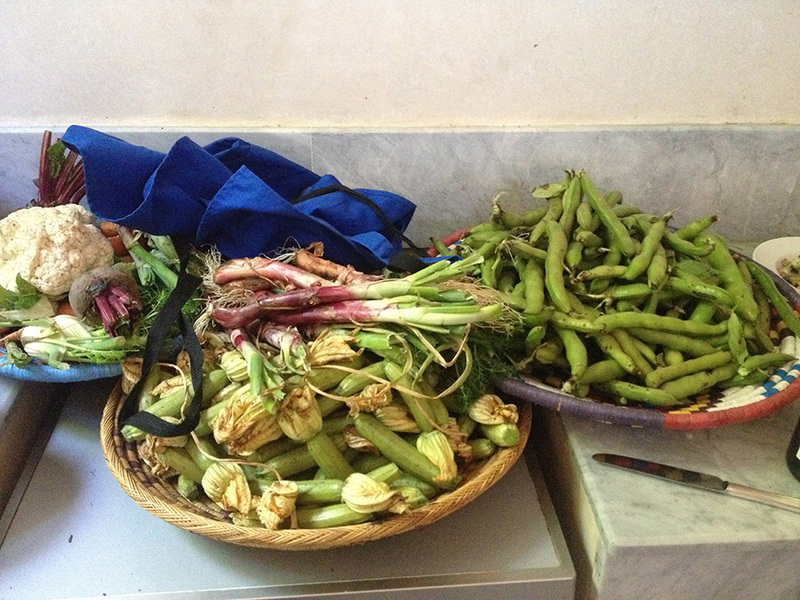 The early spring warmth had brought out the first crop of potatoes and baby courgettes, flowers clinging to their ends, were brought in from the small garden. We collected eggs from the hens that foraged amongst the cactuses and palm trees. The best lunch we ate was that which required the least preparation. Someone lit a fire in the kitchen while the rest of us got together the other ingredients. 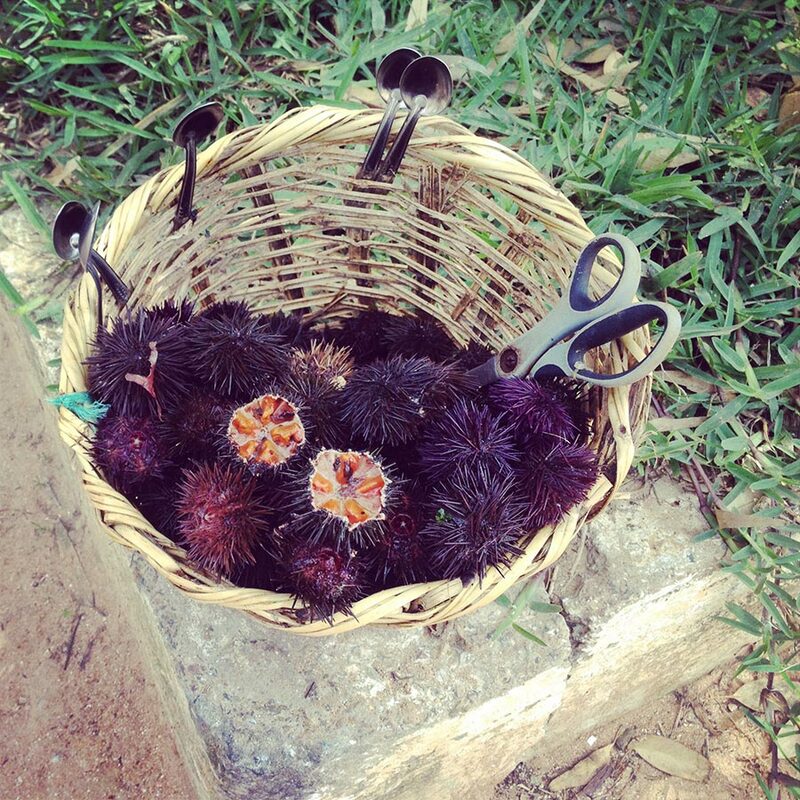 Sea urchins, plucked hours before from the cold waters of the Atlantic made our first course. Once you’ve broken through the spikey exterior, a teaspoon is all that is needed to extract the coral hidden inside. Specimens this fresh are best eaten raw, cold, salty, creamy and rich. Meanwhile, waiting for the flames to subside, we boiled some freshly dug potatoes. They were small and firm and still full of the sweetness only a new potato can offer. All that was needed was the lightest dressing of fennel fronds, herbs, mustard and olive oil. 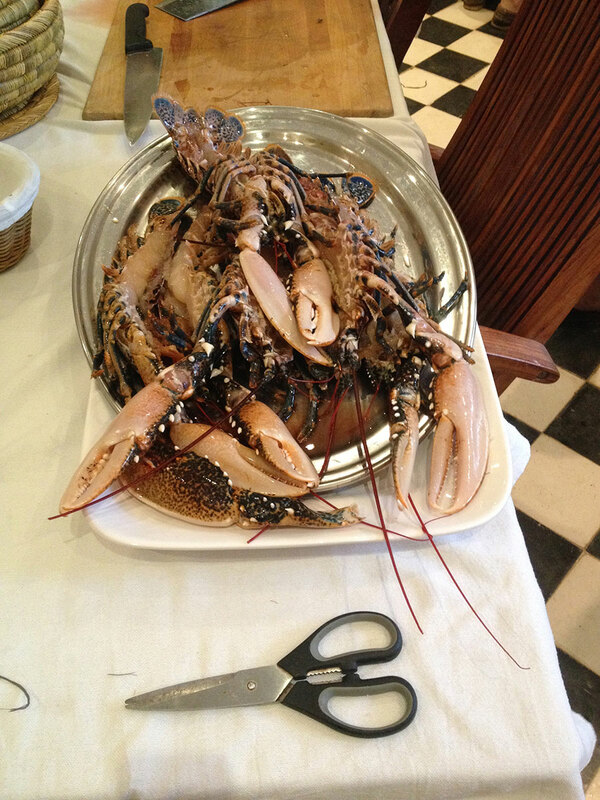 Next we prepared the lobster, the most decadent of shellfish, but at its best with the least adornment. When the fire had burnt down to embers, we split and lay them on the burning grill, generously scattered with salt and marjoram. While the lobster shells turned from amber to pink and the flesh became opaque, we dropped the samphire into boiling water just for a few seconds. Drained, tossed with oil and a little lemon, the succulent green stalks needed nothing else. Lunch was ready. Sitting on the terrace, looking down over the shimmering lagoon, I had a taste of a Morocco I had never known before.